1748 newspaper with a large FOLD-OUT MAP OF AFRICA at the end of King George's War, including a depiction of the territory known as the'SLAVE COAST', as well as Egypt, Ethipia and Northern Africa depicted as BARBARY #fb1061. 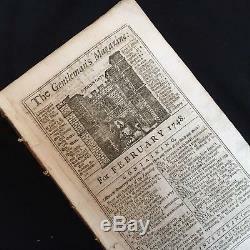 SEE PHOTO-----COMPLETE, ORIGINAL NEWSPAPER, the _Gentleman's Magazine_ (London) dated February, 1748, with fantastic CARTOGRAPHIC history from the Dark Continent, with much of the African Continent misrepresented. 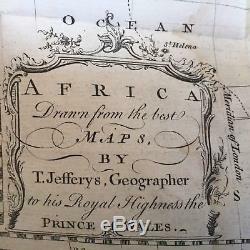 A COMPELLING addition to any fine map or AFRICA collection. 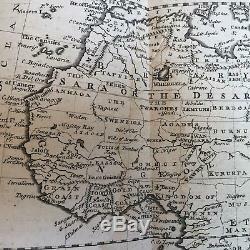 Very Good condition, with a very light dampstain along one of the map creases. This listing includes the complete entire original newspaper. Every item we sell is original printed on the date indicated at the beginning of its description, unless clearly stated as a reproduction in the header AND text body. This is truly a piece OF HISTORY that YOU CAN OWN! 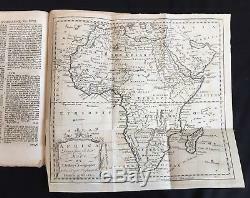 The item "1748 newspaper w 18th century FOLD-OUT JEFFERY'S MAP OF AFRICA w'SLAVE COAST" is in sale since Saturday, March 17, 2018. This item is in the category "Collectibles\Paper\Newspapers\Pre-1900". 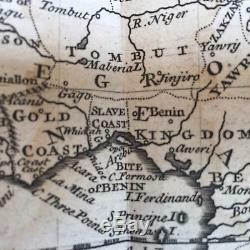 The seller is "boyl-timo" and is located in Oxford, Maryland. This item can be shipped worldwide.